Meaningful Gift-Giving. If you’re like a lot of people, then you’ve probably received gifts that made you smile and feel warm inside – and gifts that made you wince. In all likelihood, gifts that put a smile on your face tend to be personally meaningful – that is, they strike a chord with you because they make you feel understood on a level that’s beyond the superficial. On the other hand, gifts in the wince-causing category miss the mark because they’re cliche and impersonal and – in a certain sense – fairly meaningless to you. With all this in mind, we think it’s safe to assume that most people would like to master the art of meaningful gift-giving. So how, exactly, can you perfect that art for yourself? While there’s a lot of advice out there on meaningful gift-giving, here are a few of the best tips and approaches we’ve encountered. Explore their hobbies and interests. An age-old gift-giving approach is to first discover and learn more about the gift-recipient’s hobbies or interests. That doesn’t mean you have to go all out and learn everything there is to know about that hobby or interest, but becoming familiar with the overall hobby is a good start if you want to pick out a gift that’s personally meaningful. Watch for hints of what they like. One clever-and-endearing way you can choose a meaningful gift? Go out shopping at least occasionally with the person you want to give a gift to – and observe what sort of things they seem to like. For example, where do their eyes linger when scanning through a store shelf? To what do they seem to give extra attention to – even if they don’t verbally signal interest in something? Gift them something they lost. Has the recipient of your gift lost something recently? If so, simply gifting them an item similar (or even better) than the one they lost can make the recipient feel special and cared about. Creatively combine their desires and values in a single gift. A very reliable – and effective – way to find a gift-with-meaning for someone is this 2-step approach: first, figure out several things that the recipient values or desires, then pick a gift that creatively combines some of those values or desires. Suppose, for instance, that the gift recipient enjoys fashionable wrist jewelry and accessories. They also tend to donate to charities and organisations that help people struggling with incurable diseases. 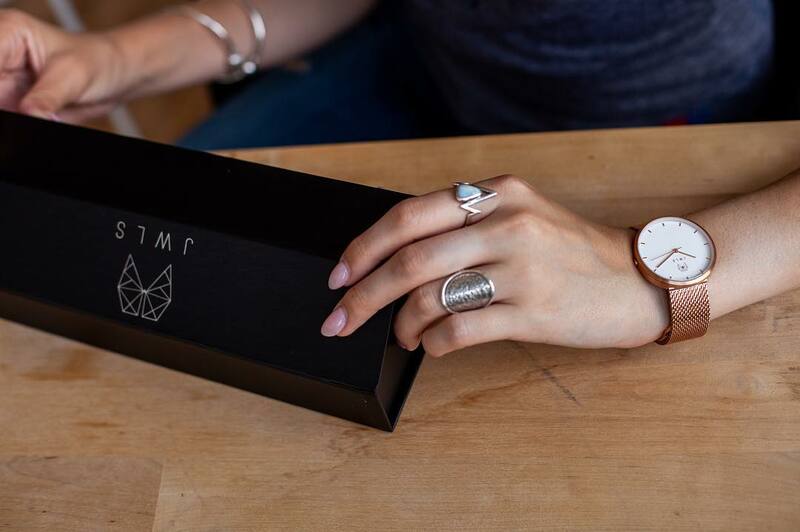 You could combine this desire and value in a single gift – like a JWLS watch, for example (stylish timepieces that help support those with cystic fibrosis). 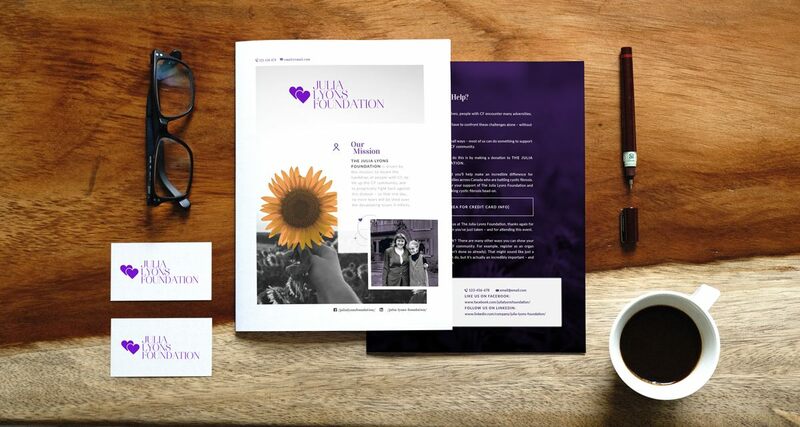 In early August of this year – 2018 – The Julia Lyons Foundation was launched. For many years before, however, Emily Lyons has dreamed of creating this foundation. To understand why, you need to hear the story of another Lyons – Julia Marlane Lyons. Julia Marlane Lyons – who passed away in 2011 as a result of cystic fibrosis complications – was Emily’s beloved older sister. Julia was only 27 when she passed away, but Emily is grateful for all the time she got to spend with her: “That’s more than two decades of memories with the best sister a girl could ever ask for,” Emily said in a feature for Cystic Fibrosis Canada. Born in 1983, Julia was just an infant – only 4 months old – when she was diagnosed with cystic fibrosis (CF). Given this diagnosis at such a young age, no one could have known what to expect from this precious little girl – but then again, Julia always had a tendency to surpass expectations with the force of her unflinching spirit. Emily remembers so much about Julia: her mischievous humor, her fierce intelligence, her kindness and empathy – and her incredible drive to understand everything about the disease she had been born with. Julia would go on to receive two double lung transplants – costly, demanding procedures which bought her a little more time. But, ultimately, that terrible day came: her lung complications mounted, and she passed away on the first day of June, in 2011. Julia left an indelible imprint in the hearts and minds of many – including her sister, Emily, who sees Julia as her greatest source of inspiration and motivation. And for years, Emily privately vowed to herself that she’d do what she could to tackle CF – and help those burdened with the disease. So now, with the launch of The Julia Lyons Foundation – created in the memory of “the best sister a girl could ever ask for” – Emily is bringing that personal pledge to life. The Julia Lyons Foundation is driven by this mission: to lessen the hardships of people with CF, to lift up the CF community, and to proactively fight back against this disease – so that one day, no more tears will be shed over the devastating losses it inflicts. Cystic fibrosis (CF) is a very deadly inherited disease – the most fatal genetic condition among children in Canada. A cure for CF does not yet exist. The disease is caused by defects in a very important gene. These defects cause the body to produce mucus that’s much too thick – which clogs up the lungs and airways. Breathing is thus very difficult for people with CF – who are also at an increased risk of infection from bacteria. But CF doesn’t just affect the lungs. It also harms the digestive system: individuals with CF often have a hard time absorbing vital nutrients – like fats, protein, and many vitamins. 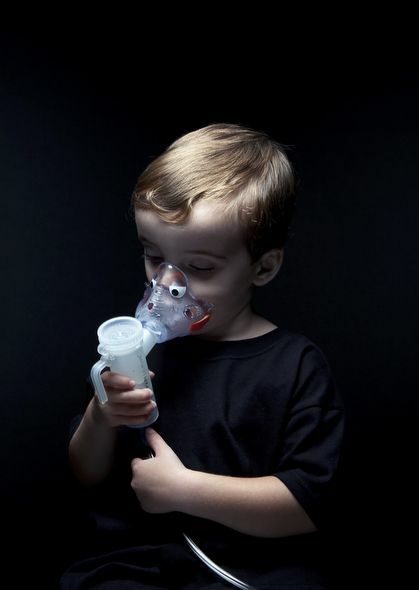 Lung problems account for most deaths related to cystic fibrosis. And while lung transplants can improve the quality of life of those with CF, this is no cure: eventually, the new lungs can become severely damaged by thick mucus, lack of oxygen, and infection. Current medical intervention for cystic fibrosis relies on symptom management through a regimen of medication, physical therapy, and surgery. How is The Julia Lyons Foundation accomplishing its mission? The Julia Lyons Foundation – a not-for-profit organisation – provides financial aid directly to those in the CF community who need it most. Cystic fibrosis is a very costly disease: continuous medical treatment and monitoring is required, and lung transplants are very expensive procedures. Also, individuals with CF must often move to an entirely different city so they can be close to a hospital with the right treatment resources. All of this adds up – and can place extreme hardships on both the person with CF and their family. We at the Julia Lyons Foundation believe that everyone with CF deserves excellent care, treatment, and aid – even those who do not have very many financial resources. 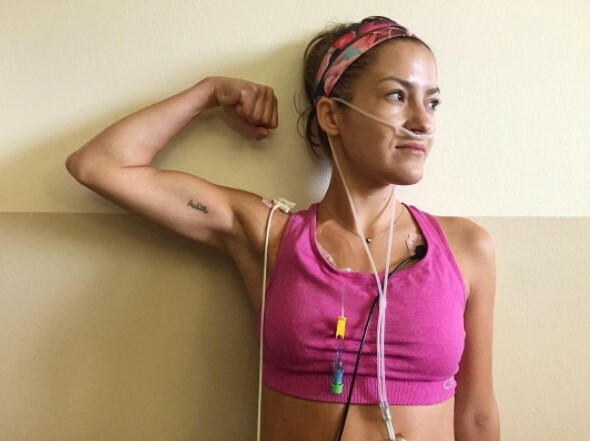 Cystic fibrosis is a harrowing, lifelong battle to begin with – so it’s imperative that those with CF get all the support they need, whether financial or otherwise. The Julia Lyons Foundation makes this possible by working closely with the CF community to find those who are most in need of support. DID YOU KNOW? CF is particularly lethal for those who come from low-income households. In fact, some studies report that there is a 44% increase in the risk of death for this population of CF patients. The Julia Lyons Foundation is creating a much-needed mental health program for people with CF (and their caregivers). Emily can never forget how Julia had to contend not just with the physical symptoms of CF, but also with agonizing anxiety and depression – one hardship on top of another. It is well known within the CF community that this disease is very often accompanied by mental health challenges. Nevertheless, few mental health resources exist for people with CF – a glaring problem that The Julia Lyons Foundation is now addressing. This mental health program is designed to provide therapists, mental health treatment approaches, and resources that are specifically tailored to individuals with CF – at no cost. This will help improve the quality of life of many people with CF. We think that if you have CF, you deserve all the social support, care, understanding, and friendship that you could ever want – and this program backs up that conviction with on-the-ground action. DID YOU KNOW? Psychological distress can have a very real impact on the physical health of people with CF. Studies have shown, for example, that anxiety and depression in CF patients can result in worsened lung function. So anxiety and depression not only reduces quality of life, but can also heighten the risk of death. 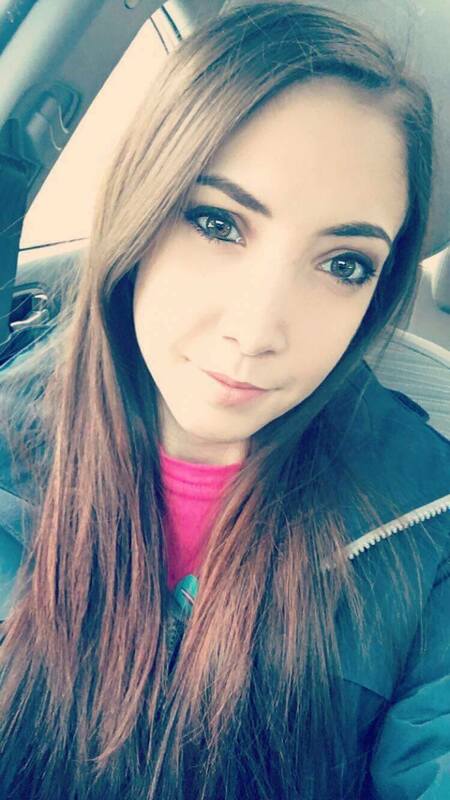 Further, the suicide rate among individuals with CF is greater than that of the general population – one tragic consequence of the inadequate mental health resources available to the CF community. Throughout their lives, people with CF encounter many adversities. But they shouldn’t have to confront these challenges alone – without anyone’s help. And – in big and small ways – most of us can do something to support and empower the CF community. One way you can do this is by making a donation to The Julia Lyons Foundation. Donate today and you’ll help make an incredible difference for individuals and families across Canada who are battling cystic fibrosis. We are grateful for your support of The Julia Lyons Foundation and everyone who’s taking cystic fibrosis head-on. On behalf of all of us at The Julia Lyons Foundation, thank you. DID YOU KNOW? There are many other ways you can show your support for the CF community. For example, register as an organ donor (if you haven’t done so already). That might sound like just a small thing you can do, but it’s actually an incredibly important – and life-saving – action. That’s according to the legendary American author, Mark Twain, at least. In many ways, a man’s fashion look defines him – certainly in the eyes of society, at least. Whether you’re Justin Bieber or Tupac, Ted Mosby or Steve Jobs or James Bond – fashion imparts meaning to the man. There’s no going around it: the watch your wear, the shoes you step into, the shirt you button yourself into – they all send a message to the people around you. Which is why bad fashion advice can be particularly disastrous – especially on the social front. Chances are, you’ve heard some pretty questionable fashion advice yourself – handed down to you by well-meaning friends or co-workers, perhaps. Or maybe you encountered such dubious style suggestions from the internet. We at JWLS have stumbled upon some of the bad fashion advice on the internet – and wanted to share some of it with you (source: reddit.com). So, prepare to get your cringe on as you read some of the worst men’s fashion advice ever heard. Actually, there’s a lot more that matters fashion-wise than simply matching your shirt with your shoes. Such one-dimensional fashion suggestions are quickly discarded by well-dressed gentlemen. Let’s see. A tucked in t-shirt is a look that some guys can pull off, but it’s not for everyone – and untucked t-shirts are definitely not the sign of a slob. Lots of fashionable dudes walk around with untucked t-shirts – without inducing a wave of cringey feelings in passerbys. No, they shouldn’t. That’s all we have to say to that one. Reality: 9/10 times socks-and-sandals are a look worthy only for the Fashion Hall of Infamy (if there was such a place, that is). These are all, obviously, pretty eyebrow-raising fashion suggestions. Now, if you want to do something that’ll raise not your eyebrows but your fashion game, take a look at the men’s watches in the JWLS 2018 collection. Jarrett wearing JWLS watch in the style France, paired with a leather bracelet. One fashion trend you gentlemen readers might have noticed: more and more men seem to be wearing bracelets. For a good reason, too: the right bracelet can really make your look pop – adding a dash of the dapper to practically any outfit. And that dash-of-the-dapper becomes more than just a dash when a suave-looking bracelet is paired alongside a stylish watch. Celebrities like Jay-Z and jewelry-flaunting Johnny Depp do it well – and so can you. This quick guide walks you through the different options you have when you decide it’s time (yes, pun intended) to wear both a watch and a bracelet. Your sense of fashion and style – it always makes a statement, one way or another. The question you’ve got to ask yourself – before choosing what bracelet to pair with your watch – is what you want your style to say about you. The extraordinary thing about fashion is that there are so many possible things it can say about you. For example, fashion can be used to communicate that you are ambitious; that you are young at heart, wild and free; that you are a meticulous person. The possibilities are just about endless. Now, once you’ve answered this question for yourself, you’ll be in a much better position to choose just what kind of bracelet to wear along your timepiece. Making that choice can be influenced by a lot of different factors, but fundamentally you want your bracelet and your watch to complement each other in some way. Matching materials. A watch with a leather band, for example, looks quite elegant alongside a leather bracelet. And a watch with a metal strap band will pair equally well with a metallic bracelet. For a look that’s more on the edgy side, you may want to wear materials that don’t match, such as a beaded bracelet with a metal-banded watch. Matching colours. One of the hallmark indicators of a fashion-savvy man is an ability to match colours – whether that’s matching his shoe colour with the colour of his belt or wearing a bracelet with a colour that complements his watch in some way. If you’re going to wear a bracelet with a watch, it’s usually best to match the bracelet’s colour with either the watch’s dial or the strap. It’s also generally a good idea to wear complementary colours, instead of contrasting colours, unless you really want to draw focus on your wrist-game (which might be something you want to do!). Let’s suppose, for a moment, that you’re in the mood for particularly fine-looking watches to complement your bracelet collection. If that sounds like you, just peruse these rather wrist-worthy watches here. There’s a gender gap when it comes to cystic fibrosis mortality rates? It’s something that’s been known for quite some time – practically ever since hospitals began recording mortalities resulting from cystic fibrosis complications. In short, a “gender gap” here means that girls and women with cystic fibrosis have a greater risk of death than males do. For example, a 1997 report concluded that, between the ages of 1 and 20, females with cystic fibrosis were 60% more likely to die than their male counterparts. A study published two years later noted that the median age of survival for males with cystic fibrosis was 4 years higher than that for women. So based on studies like these (and others), it’s pretty clear that there is a “gender gap” when it comes to cystic fibrosis mortality – and a significant one at that. Medical researchers have long puzzled over this enigmatic gender gap. What, after all, could be responsible for the higher mortality rate among women with cystic fibrosis? As it turns out, several hypotheses have been advanced to explain this mysterious phenomenon. Some have suggested that this gender gap is the result of behavioral differences between women and men (caused by the still-rigid gender roles of Western society). That might explain the gender gap. But not so fast, say other researchers, because there are other possible explanations – perhaps a gender bias exists in the medical system, such that girls are diagnosed with cystic fibrosis at a later age than boys are. This was the idea put forward by a paper published in the American Journal of Epidemiology. In that study, the authors discovered that there was a delayed age of diagnosis for girls with cystic fibrosis. Then there’s the hypothesis that the hormone estrogen – a major hormone of the female body – is related in some way to this nefarious gender gap. Of course, this all goes to show that – at this point – researchers aren’t totally sure what’s behind the gender gap in cystic fibrosis mortality rates. In fact, it’s possible that it’s caused by a number of factors – perhaps all of the ones mentioned here play some kind of role. The good news is that the cystic fibrosis gender gap is not invincible – forever unable to be closed: a 2005 study, taking place in a London hospital, found that when medical practices at the clinic were standardized across the board – for both girls and boys – the gender gap was no longer detectable. And whether or not the gender gap is getting smaller as we head into the third decade of the 21st century, one thing is for certain: there is a need for a cure for cystic fibrosis, so lives won’t continue to be lost to this devastating disease. To support the search for a cure – and look chic in the process – have a look at JWLS’ elegant, edgy line of watches. Take a look around the JWLS online shop and you might notice this: all JWLS watches are powered by Japanese quartz movements. That could, naturally, spark a question such as this: why do some watch connoisseurs prefer quartz movements, while others are much more enthusiastic about watches with automatic movements (also known as mechanical watches)? For many watch-lovers, quartz watches are seen as possessing one particular advantage over mechanical watches: quartz watches, because they keep time through a battery (which, fascinatingly, electrifies a tiny crystal of quartz), are much more reliable time-keepers than automatics. The quartz crystal vibrates at a consistent frequency anywhere in the world, and this fact was used by watch engineers to devise remarkably accurate timepieces. Automatic watches – which have a history spanning over 300 years – are built to track time by the intricate movements of precise, miniature mechanical parts (coupled to springs) which get their power from the natural, daily motions of the wearer. And because automatic watches are mechanical – not battery powered – they have far, far more parts than a quartz watch. If you placed both a quartz watch and an automatic under an X-ray machine – getting a look inside these watches – you’d see just how enormously complex an automatic is compared to a quartz watch. Indeed, the automatic would look quite like a microscopic factory, with gears spinning and whirring; the quartz watch, on the other hand, would look dramatically simpler in design. Since quartzes don’t have nearly as many moving parts as automatics, they can reliably keep time – even in rough, less-than-friendly conditions (whether that’s skydiving or mountain biking or some other adrenaline-spiked activity). Watches with quartz movements are well-known for their extreme time-telling precision. Meanwhile, because of their intricate inner architecture, automatic watches generally require servicing every four years or so; in addition, the day, date, and time must be reset whenever the watch exhausts its power. So which type of watch should you get? A rigorously accurate quartz movement, or an automatic? Ultimately, the answer to that question all boils down to the main reason why you’re investing in a watch: as a “testament to an artform,” as someone said about automatics, or because you want “to always know the exact time regardless of sleet, deep water, or a 30 foot fall,” as a quartz movement enthusiast said. Of course, if you’re in the mood for an elegant watch with a quartz movement, then JWLS may have a stylish timepiece that exactly suits your taste. The life expectancy of those with cystic fibrosis has been on an upwards swing for quite some time now, thanks largely to medical advances in diagnostic and treatment capabilities. However, the search for a cure is still very much an urgent necessity, as cystic fibrosis continues to claim beautiful lives and shatter families. In light of this, it makes sense to keep an eye on ongoing research towards a cure for this deadly genetic disease. So here you’ll read about research on cystic fibrosis that was rolled out last year, in 2017. What follows is a brief summary of two 2017 studies on potential cures for cystic fibrosis. This study took a good look at the Orkambi treatment protocol – which consists of a drug combination of lumacaftor and ivacaftor. In principle, at least, these drugs are able to correct many of the molecular causes of cystic fibrosis (read this for a friendly guide to the biology of cystic fibrosis). Since cystic fibrosis is fundamentally caused by a malfunctioning protein – the CFTR protein – both lumacaftor and ivacaftor act on the protein in distinct ways to improve its function (such that this protein behaves in the way it does in healthy human cells). This drug combo is dubbed the Orkambi protocol, and requires a daily oral dose of lumacaftor and ivacaftor every 12 hours. Furthermore, the cost of this therapy is quite prohibitive – around $259,000 USD per year. The report went on to answer that question it posed by reviewing current research drugs that could “fix” the badly-shaped CFTR protein in individuals with cystic fibrosis. For example, it noted that two therapeutic research medicines – Cavosonstat and Riociguat – have shown promise in correcting the function of damaged CFTR proteins. However, this review of available research medicines showed that none of them individually are able to completely correct the badly-shaped CFTR proteins; hence the need for combination drug protocols (like Orkambi, mentioned above). As you can see, there’s still much research that must be done to finally cure cystic fibrosis. 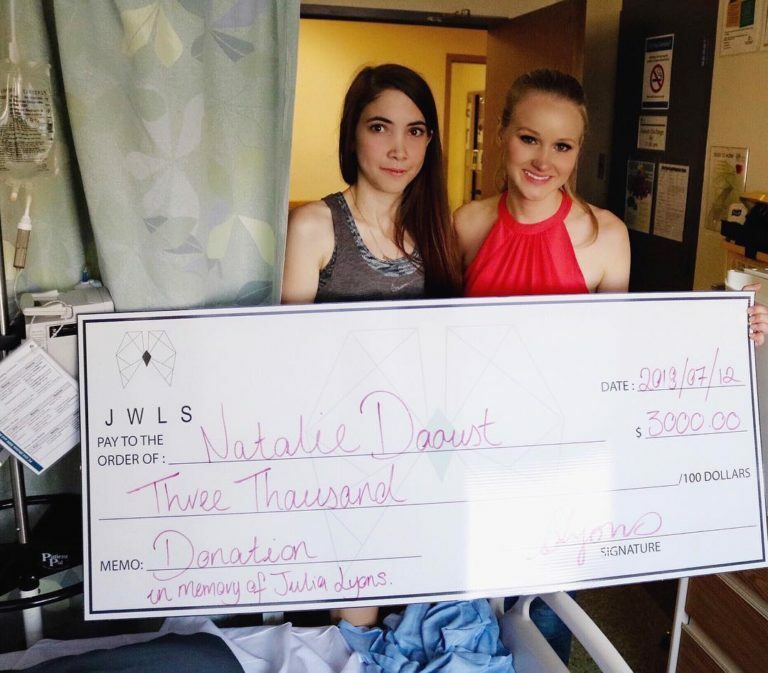 This research requires funding, which is why JWLS donates a portion of all profits to Cystic Fibrosis Canada. To shop JWLS watches and help the fight against cystic fibrosis, go here. In the effort to vanquish the scourge of cystic fibrosis, anyone can help. Even if you don’t have any friends or family members with cystic fibrosis, you can still take steps to fight back against this devastating genetic disease. As the saying goes, after all, it’s the little things that count. Well, you won’t be wondering that for very much longer – because here are a few simple, practical things you can do to help crush cystic fibrosis. Read up on cystic fibrosis – Learn about the struggles and hardships that those with cystic fibrosis endure. Poke around web articles and even scholarly, scientific papers to discover more about the disease – why it occurs, and what treatments currently exist. Doing this kind of research will allow you to better understand how those with the disease are affected (and how whole families are impacted), giving you even greater insight into how you can help in this fight. Participate in walks – Every year, walks are carried out in Canada, the United States, the U.K. – and other nations – to turn the spotlight on cystic fibrosis and raise funds. Participating in these walks is an important (and invigorating!) way to support medical research on cystic fibrosis. Raise awareness by sharing stories on social media – In this day and age, social media is just about everywhere. 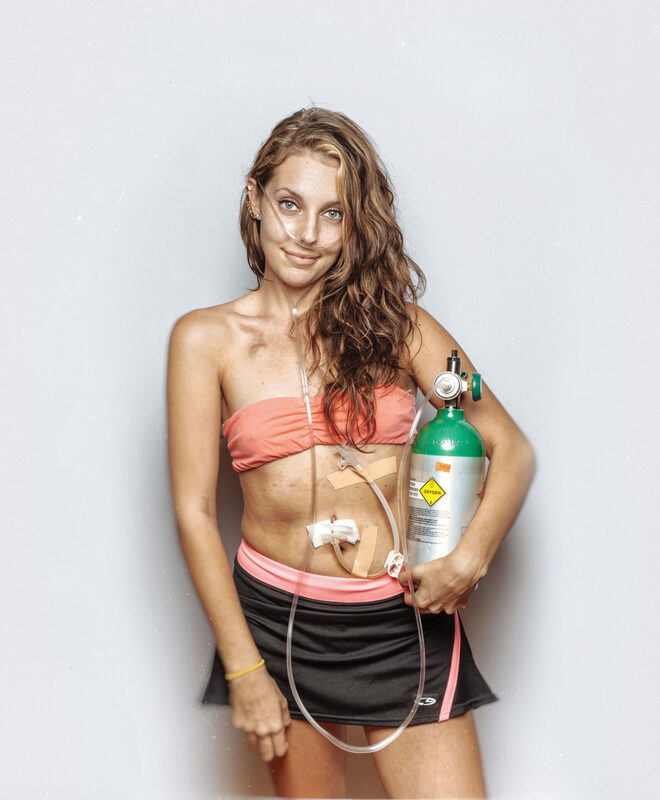 So tap into the power of social media to raise awareness about cystic fibrosis. Whether it’s through Facebook, Snapchat, YouTube, or some other platform, you can – by pressing just a few buttons – bring attention to the realities of cystic fibrosis. One of the best ways to do this is by sharing the stories of those who are living and contending with cystic fibrosis. Donate funds – Every donation helps, no matter how small or how big! Contributing funds to organisations devoted to researching and curing cystic fibrosis is an extremely effective way to combat the disease. If this is something you can do, we strongly encourage you to donate to an organisation like Cystic Fibrosis Canada (go here to donate). Also, if you’re into stylish watches that make you look particularly hip, then getting a JWLS watch is an excellent way to both elevate your wardrobe and fight cystic fibrosis. The reason why? 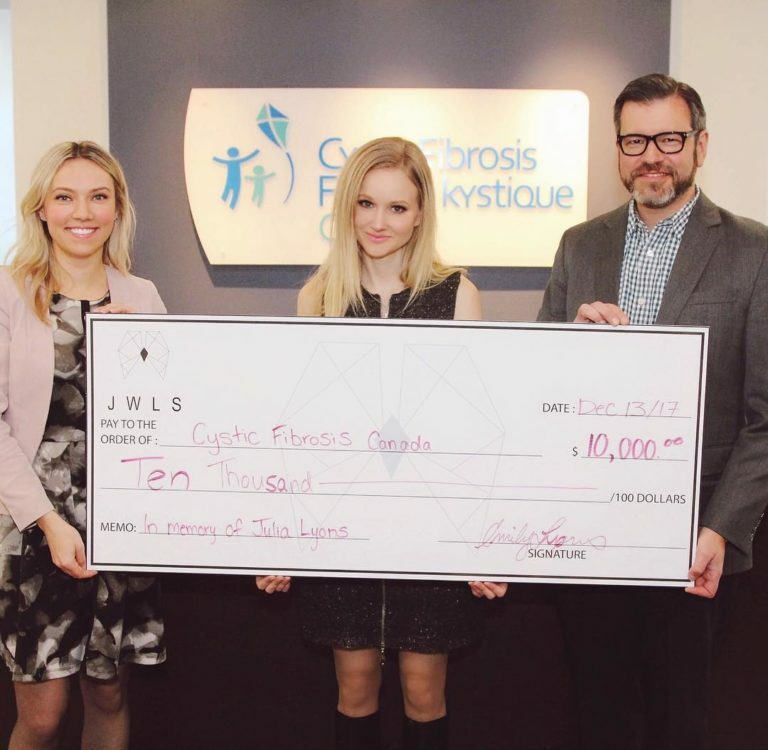 With every purchase of a JWLS watch, a portion of the profits are donated directly to Cystic Fibrosis Canada. It’s a fantastic way to look good while doing good.